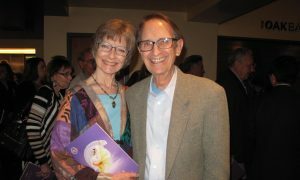 SYDNEY, Australia—”The backdrop was unbelievable,” said David Cunningham, when he saw Shen Yun performing Arts for the first time at the Capitol Theatre on Feb. 6. 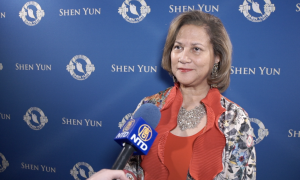 The New York based Shen Yun has become a worldwide phenomenon, captivating audiences across the globe, and performing an all-new program each year. The reactions from the audience for their first Sydney performance this season the have been powerful. Mr. Cunningham is a semi-retired landscape designer with a passion for photography. He supplies the Maritime Museum at Darling Harbour with photography for their website and magazines and also does philanthropic and voluntary work. 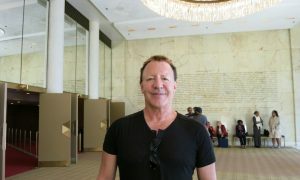 He has a keen eye for detail, and was thrilled with the animated digital backdrops portraying beautiful scenes behind the dancers. He felt he was transported into the visions before his eyes. 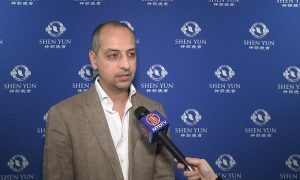 At the same time he felt sad that China’s art, culture and moral guidance has been destroyed by the communist regime and grateful that Shen Yun was reviving this glorious culture. “It was absolutely heart breaking to think of all these artisans, dance, buildings and architecture all just being suppressed,” he said. There were many aspects to the scenes displaying before his eyes that Mr. Cunningham loved. 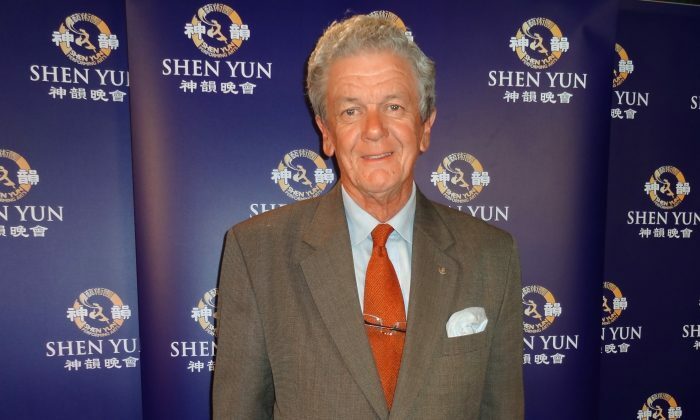 He said Shen Yun exceeded anything he had seen before by several times. 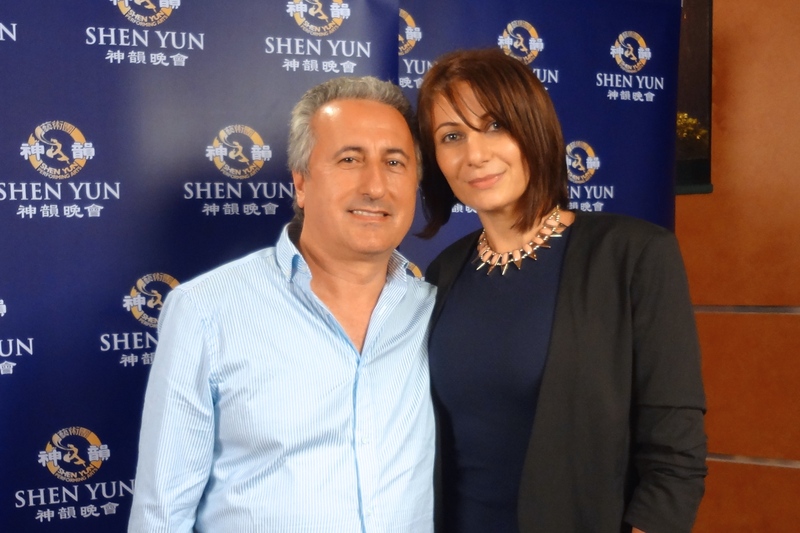 He said people would not believe how “incredibly magnificent” Shen Yun is they would have to see it for themselves. It was just perfect the whole thing from start to finish, absolutely perfect. “Incredible dance with rhythm, and there was not one fault, not one blemish, it was just perfect the whole thing from start to finish, absolutely perfect,” he said. 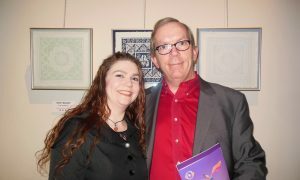 Mr. Cunningham was also very appreciative of the educational value of the performance. 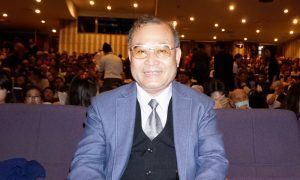 He said it was important to revive the 5,000 years of Chinese history. Mr. Cunningham had a final word to say. Another audience member Hanaa Wehbe, a beauty therapist, was captivated by the dazzling display of colour. 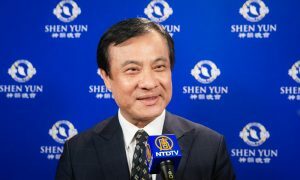 “Ancient Chinese instruments such as the soul-stirring erhu and the delicate pipa lead the melody on top of a full orchestra of Western strings, percussion, woodwinds, and brass,” according to Shen Yun’s website. Ms. Wehbe could feel the worries of her week melting away as she listened to the music weave its magic.